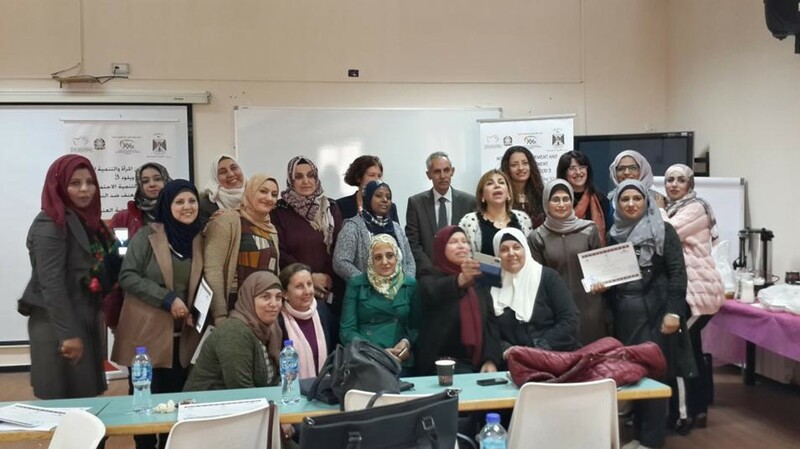 The Institute of Women's Studies at Birzeit University concluded, on November 27, 2018, the third phase of a training course on gender-based violence (GBV) that was implemented within the framework of the “Women’s Empowerment and Local Development Programme” (WELOD 3), in partnership with the Italian Development Cooperation and the Ministry of Social Development. The course was held between April 11, 2018, and June 25, 2018, with 40 training hours. The graduation ceremony was held in the presence of the director of the Institute of Women's Studies, Dr. Lena Meari; Deputy Minister of the Ministry of Social Development, Mr. Daoud Aldeek; Head of the Gender Unit at the Ministry of Social Development, Ms. Saeda Atrash; and Head of Gender Equality and Women's Empowerment Unit at the Italian Agency for Development Cooperation, Ms. Guia Faglia. The framework of the course was based on a theoretical approach that considered the complex reality of violence in the Palestinian colonial context, which analyses the dynamics of violence in a comprehensive manner that takes into consideration the intersections of the political, economic, and social violence faced by Palestinian society. The course focused on the importance of women’s collective empowerment while dealing with women as agents and the importance of engaging women’s power and reinforcing their support networks to cope with the conditions of their lives. 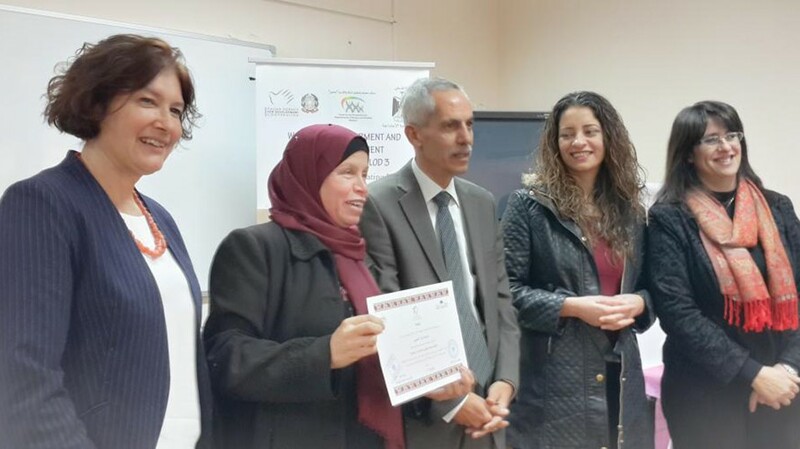 In its third phase, the training course aimed to increase the capabilities of the social workers at the Ministry of Social Development to respond to cases of Palestinian women facing GBV and introduce trainees to counseling skills in both personal and group interventions. The training also raised awareness regarding the causes and consequences of GBV. The trainees were introduced to the concept of sexual trauma among Palestinian women and skills for conducting competent suicide assessment and intervention. The training course provided participants with an understanding of the concept of “professional burnout” and with some techniques for dealing with its social and psychological consequences. 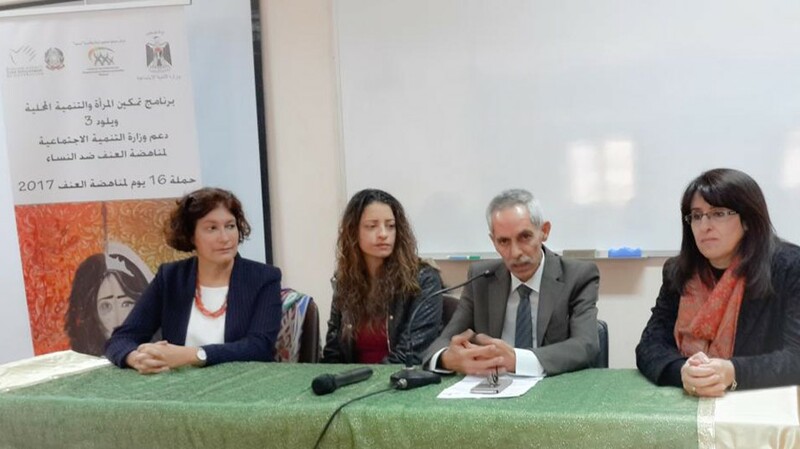 The training team included Dr. Said Shehadeh, faculty member in the Department of Social and Behavioral Sciences, and Ms. Fardous Salameh, faculty member in the Department of Social and Behavioral Sciences.